RBI Introduces new 50 Rs Note New Delhi: Reserve bank of India RBI ne 50 Rs Ka new Note Launch karega. Yeah New 50 Rs Note ek new Look ke Saath Bahut Jaldi market me Aayega. Ye note old 50 Rs Note Se Ek Dum Different Hoga. Demonetization 500 Rs & 2000 Rs ke baad Ye 3rd New Currency Note Hoga. New 50 Rs Note Aaneke Baad Bhi Old Note Chalta Rahega. * New 50 Rs Note come soon, old notes continue. New 50 Rs Note Ka Size 66 mm x 135 mm hoga. Jisme Front Side Pe Mahatma Gandhi Ki Photo, watermark, Urjit R Patel Singh (RBI Governer) hai to Back Side Me Hampi ka Big Photo, Swach Bharat Logo & Slogan, note Ka Printing year Hoga. So Is Type Ka Hoga Ye New 50 Rs Note. 1. Note ke Middel me Gandhiji Ka Photo Hoga. 3. Gandhiji ke Photo Ke Pass Guarantee ka Line or Governor Ka Sing hai. 4. Right Side me Ashok Stambh (Ashoka Pillar) Hai. 5. Note ke Do no Side Pe Hindi or English Me 50Rs, ५०रु, पचास रुपये, भारतीय रिजर्व बैंक, Reserve bank of India Likha hua hai. 1. Hampi ke Rath (Chariot) ke Saath Photo. 2. Left Side me Note Ka Printing year Likha hua hai. 3. Swach Bharat Ka logo or Slogan Hai. So This is The All Information about New 50 Rs UpComing Note. Share This Information with all your Friends On Social media. 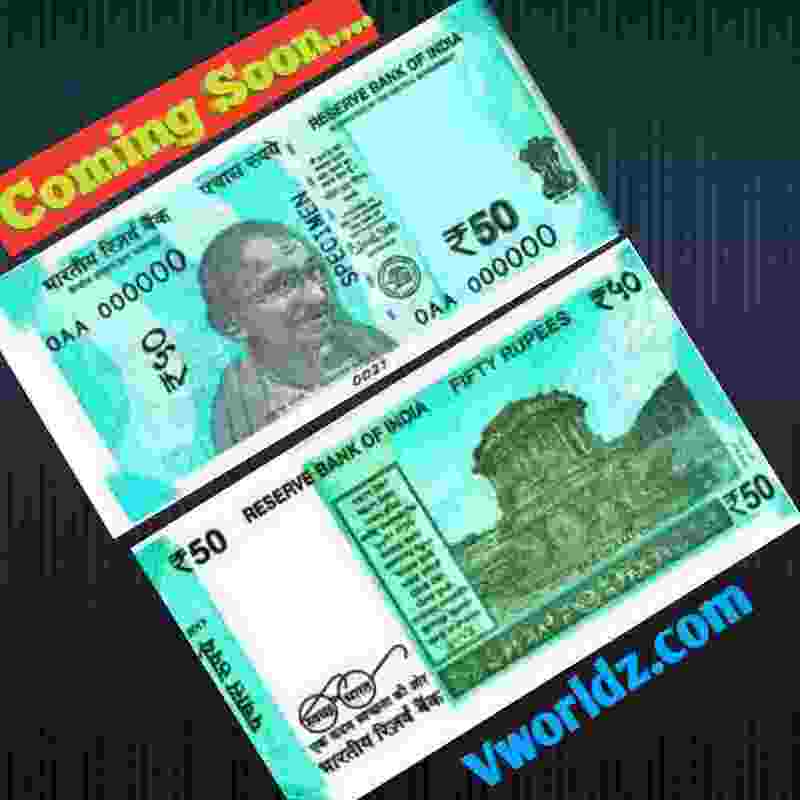 0 Response to "New 50 Rs Note Photo, Features, news All Information In Hindi"